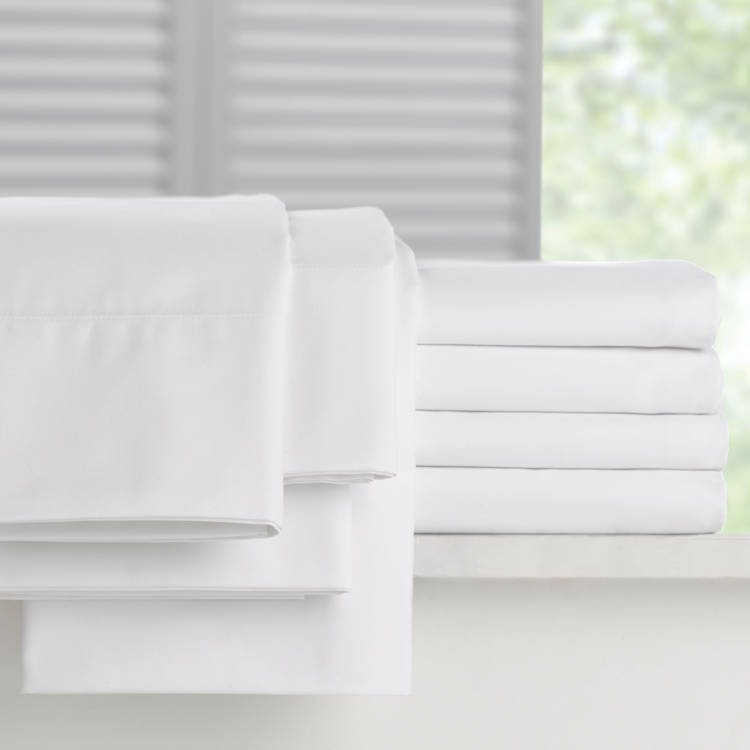 Pamper your guest in luxury with the cool, crisp softness provided by Martex Millennium T-300 Sheets and Pillowcases by WestPoint Hospitality. 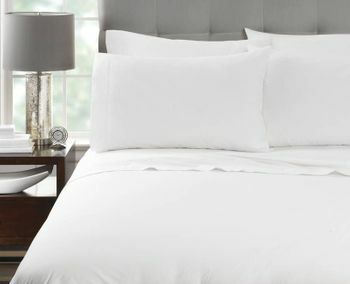 Made with a fine percale weave in a cotton rich 60/40 blend of soft cotton and durable spun polyester for long lasting comfort. The Millennium Fitted Sheets are available in both 12 and 15 inch pocket sizes to accommodate standard and pillow-top mattress. The elastic hem features a color coded thread for quick and easy size identification in the laundry and during room set ups. Pocket Size Note: 12" pocket fits mattress up to 14" | 15" pocket fits mattress up to 17"
Available for wholesale purchase by the case of 2 dozen fitted sheets with Free Shipping on all orders. Cotton Rich 300 Thread Count Fitted Sheets - 60% Cotton / 40% Spun Polyester Blend. Balanced, percale weave construction for long-lasting durability and cool, crisp softness. Lock-stitched hems to prevent unraveling and fraying. TrueFit Indicator Hem Threads - Sewn-in colored hem threads on fitted sheets help to easily indicate sheet size. Fitted Sheets available wholesale packed 2 dozen per case. Machine wash warm with similar colors. Tumble dry medium, remove promptly.